Such a gorgeous Fall birthday card. I love those pretty leaves. I’d say it’s classic autumn colours – it will only be reminiscent of Halloween if you save it for a late October birthday next year! The leaves are beautiful. Those are some gorgeous colors and leaves, Nancy! Totally love the look of the card. It reminds me more of autumn than Halloween. Beautiful card!! Pretty fall colors on that lovely background. 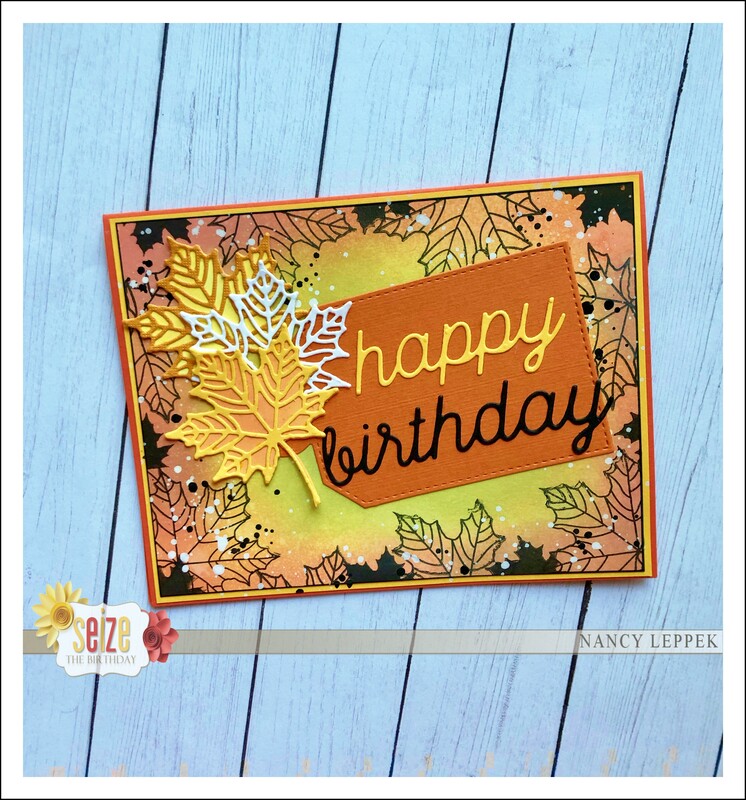 Love those pretty leaves and the way you stamped around the edges of the card. Love your card. Every time you uses these leaves it turns out gorgeous. I love the fall colors and I didn’t think of Halloween until you mentioned it. Lol. Hope that your Holidays are happy. I will be seeing you soon. Maybe the black gives some halloween feel to you, but I think it is a great Fall birthday card, Nancy! Beautiful blending on the background and the splatters look fabulous too! The leaves are as always superb :)! Nancy, you have made so many beautiful creations with these leaves, you are inspiring me to buy these dies! Love the colors, so perfect for an autumn birthday. 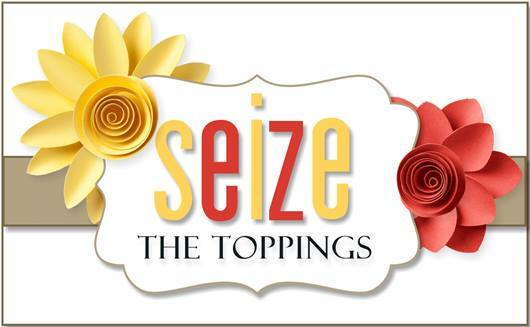 Hope you’re having a great week! This is so pretty! I love how you used the dies. Gorgeous colours too.